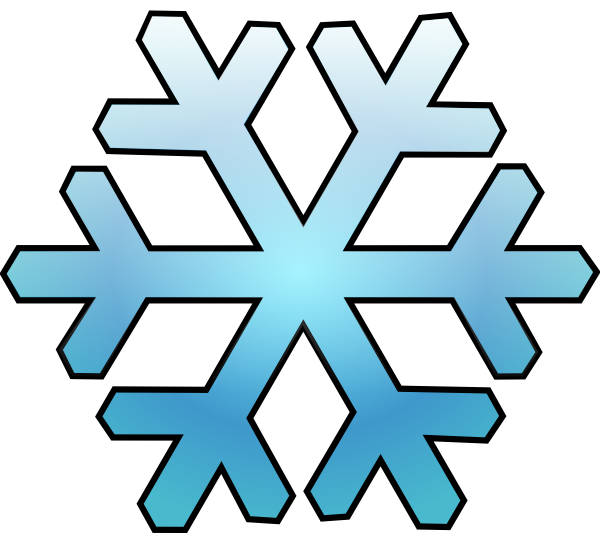 The snowflake/avalanche' theory is when a single snowflake will eventually cause an avalanche to break free. You may never see the offending snowflake and thus never know the actual cause of the avalanche. If you are watching the events in our world unfold you see the snow, and thus the danger, piling up. You can see things happening which are slowing building up and ultimately working against our liberties, toward the financial system collapse and world war. This process is viewed from our day to day perspective as a slow process but then all of a sudden something breaks free and a large event occurs. Looking back over the past decade it is quite obvious to me that this process is happening. The truth is that this avalanche could happen today or it could happen three years from now. My point is that you need to be ready NOW. It is better to be 7 years too early than 1 day too late. An avalanche is a unique event in that its speed moving down the mountainside is greater than terminal velocity, than an object falling out of the sky. This is because the snow is subject to both downward and outward forces. I believe that this also applies to our current situation. Things may seem to be happening slowly but the frequency of occurrences and severity have been and will continue to increase to such a speed that it will astound us and overtake those that aren't already prepared. The process of change starts slowly but momentum increases almost imperceptibly over time. There will then be an event, or series of events, that will take place as if it were an avalanche traveling so fast that we can not get out of the way of it. However, if you are watchful and prepared you can and will see it coming. As we move slowly, but at an accelerating pace, toward social chaos we may become accustomed and insensitive to events that would have disturbed us a decade earlier. "Progress" and "Political Correctness" are very dangerous paths which degrade moral standards, quality of life and freedom of choice. Let the world do what it will but keep your eye on the goal of self-sufficiency and liberty. No one else can take away your right to choose. NO ONE, and especially not governments! This is a gift from God. Trust your instincts and follow what you feel is right for you and your family as to the choices and steps you should take to prepare. The US and the worlds financial systems are a ponzi scheme. The only thing that can be done to maintain them as they currently are is the continual printing of currency. Even so, there will be a point when this strategy no longer works. All ponzi schemes collapse. They do not go away quietly but rather they fail suddenly and violently. This will be the eventual fate of the US dollar as well as that of all other fiat currencies. This progression has been transpiring slowly for many years and decades, for longer than most of us can perceive, is accelerating and will shortly and suddenly conclude. WARNING!!! If you don't want to know what I really think then you should stop reading here. As with many of my other blog posts these are my own beliefs and opinions. You should take the time and put in the effort to learn and study to come to your own conclusions while relying on inspiration and common sense to make proper decisions. There is one very important consideration that I believe many people either do not realize or simply do not accept. I hear many statements about how we can turn this county around and get back to our roots; about how we can elect the right leaders and once again be the country we once were. I don't mean to be Mr. doom n' gloom but it ain't gonna happen. I am not advocating that we stop voting or stop standing up for what is right. If we don't continue to stand up for morality, rights and freedoms what reasons do we have to continue on? We have every reason to continue on doing good and to continue to be a polite society looking out for each other and doing what is right before God. These are the people who will make it through the trials and tribulations and come out on the other side, through the refiners fire as it were, ready for Christ's 2nd coming. All of the events we are seeing and experiencing right now, that may be hard to distinguish and interpret, are leading up to the literal events that are described in the New Testament in the book of Revelations; and then the end comes. We are seeing the signs every day. Theses events are inevitable, they are prophesied and will not be changed. The time is coming soon and we'll be out of time. The preps we already have in place will be all we have, with very little possibility of adding to them. "The end" will not be one set moment in time but rather will occur over an extended period; a very difficult time for those of us who make it through the trials, and then the Savior will come once again. Even then it won't be over, but Christ will reign on earth. We are almost out of time to prepare for our temporal needs as well as to prepare spiritually. (I'll give you my POV on spiritual preparation in a future blog post.) If you are not currently preparing then I suggest you repent and get started. Do not delay any longer. Make every effort you can and do it now. Sell those expensive toys and unnecessary luxuries, get out of debt and buy food storage. Cash in your 401k or IRA and get rid of your stocks and bonds at whatever loss and get into real, hard assets. Work like your life depends on it, because it does. And remember; If ye are prepared ye shall not fear. As for me and my house I choose to 'live unto the Lord' and so am preparing accordingly.